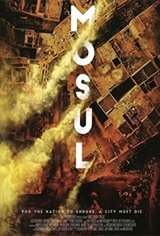 In the fall of 2016, an army of over 100,000 Iraqi soldiers and militia men mobilize to liberate Mosul, Iraq's second largest city, from ISIS occupation. Among them is embedded Iraqi journalist Ali Maula, who witnesses the temporary alliance between Sunnis, Shiites, Christians and Kurds - all of whom have differing motivations in the region - but are driven by the unified goal of freeing their country from the scourge of ISIS. In the aftermath of the largest sieges since Stalingrad, sectarian conflict begins to re-emerge - and the tactical victory is met by a stark realization: that the war against ISIS may be over, but the seeds of another conflict have already been sown.